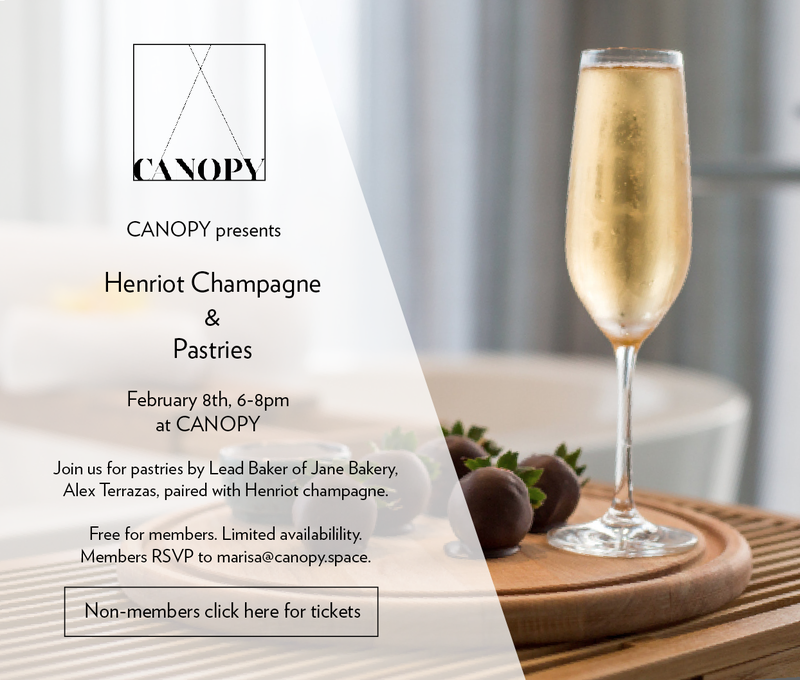 This Thursday, February 8th, from 6-8pm, D&M Wine and Liquor Presents Henriot Champagne and Pastries here at CANOPY. Come join us for a tasting of the current release of Henriot Champagne paired with custom pastries. Lead pastry chef Alex Terrazas of Jane Bakery has created a custom line-up of pastries to pair with each of the fabulous Champagnes! Click here for tickets and more information.